While I’m sure we are all dreaming of warmer weather, we still have at least another 3 months of cold winter weather! 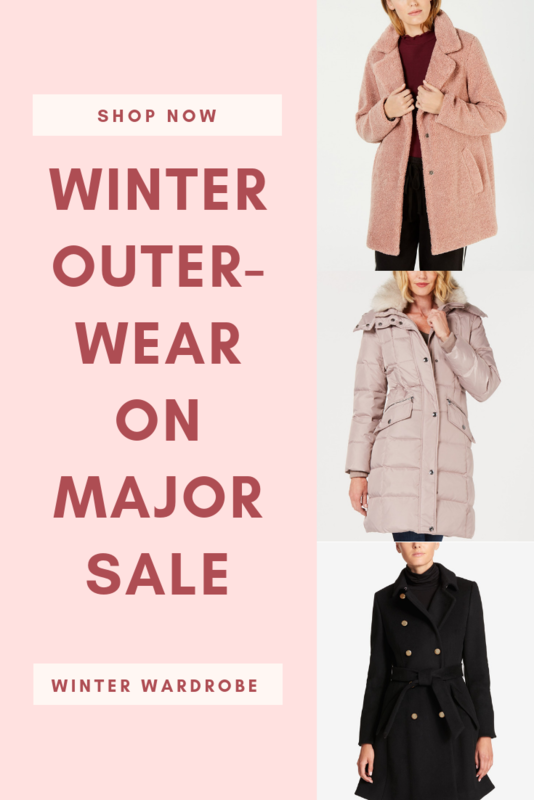 Shop winter outerwear on major sale to meet all of your cold weather needs. What do you think Punxsutawney Phil will predict on Groundhog Day (February 2nd)? If the groundhog comes out of its hole on this day and sees its shadow, it gets scared and runs back into its burrow, predicting six more weeks of winter weather; no shadow means an early spring. Growing up in New England winter was known to stretch into March with some snow storms – you never know! I love all of these coats! Seriously there are so many good options, and all of them are in the $75-$150 range. Macy’s has such an amazing selection of coats, like this adorable pastel pink puffer. I love this black belted peacoat and the selection of cute teddy coats. You can always opt for a classic knit zip up with hardware details- this style comes in 6 colors. I hope you find the coat of your dreams, at the price point of your dreams too! Nice post this is very helpful post thank you sharing with us.